She'd thought she'd left her old life behind. She was wrong. Surgical resident Maria Moretti's life is finally becoming her own, that is until her past catches up with her and she is forced to operate on her uncle. Normally, saving a loved one isn't a problem, unless you’re related to one of the most notorious mob families in New York. Now, the family Maria's distanced herself from is doing everything they can to bring her back into the fold. 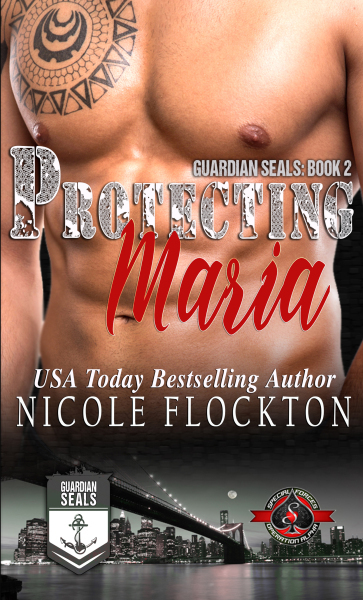 Former Navy Seal turned security expert, Riley "Ash" Ashland, is reluctant to take on the job of protecting Maria. That is, until he meets her. Seeing how much she wants her freedom from the stranglehold her family has on her changes his mind. Even though she refuses to believe she needs protection, Riley watches over her. When her life is threatened, he calls on all his resources to keep her safe. But can he protect his heart at the same time? Can Maria keep from dragging Riley into her twisted mob world while she fights for her independence all over again?